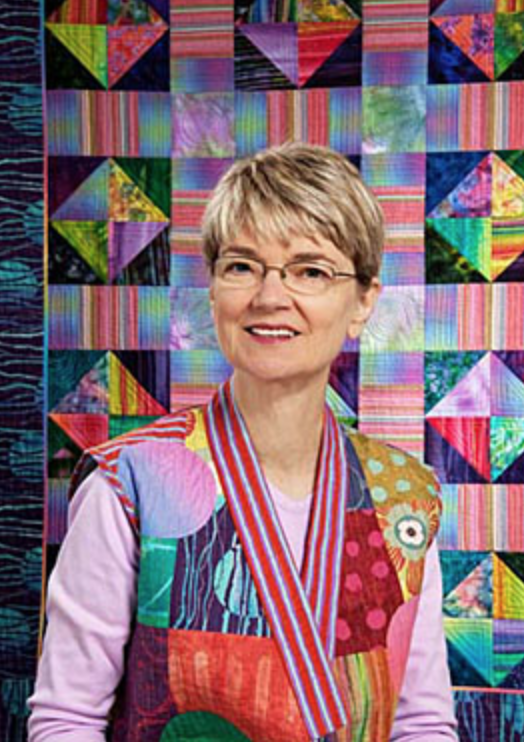 Jane Haworth is an award-winning professional quilter specializing in custom memory quilts made from t-shirts, neckties, and many other types of clothing collected over the years. In addition to quilts, she makes custom functional art items from repurposed materials. Jane also instructs and when she is not creating works of art for her customers, she works on her own quilting projects. I have been quilting officially since 2003 but did my first experiments in patchwork (hexagons cut out of newspaper), at about the age of 8. I started making art quilts after my first trip to Kauai and came back inspired with colorful images in my head and in photographs that I needed to recreate in fabric. I had previously made a log cabin quilt for my bed which probably was my first official quilt. To learn more I started recording Simply Quilts on TV and watching Alex and her guests explore all kinds of quilting techniques and styles. But it was the modern techniques and art quilts that really caught my attention. I also bought the book 'Quilts, Quilts, Quilts!' and began working on a sampler quilt with 12" squares. Cutting so precisely and sewing with the 1/4" seams was all pretty new to me and quite restricting, as you can imagine and so I still have about 8 squares still waiting to be completed. I have been involved with fabric for all my life. My grandmother taught me to sew at a young age and I would design and make some of my own clothes. 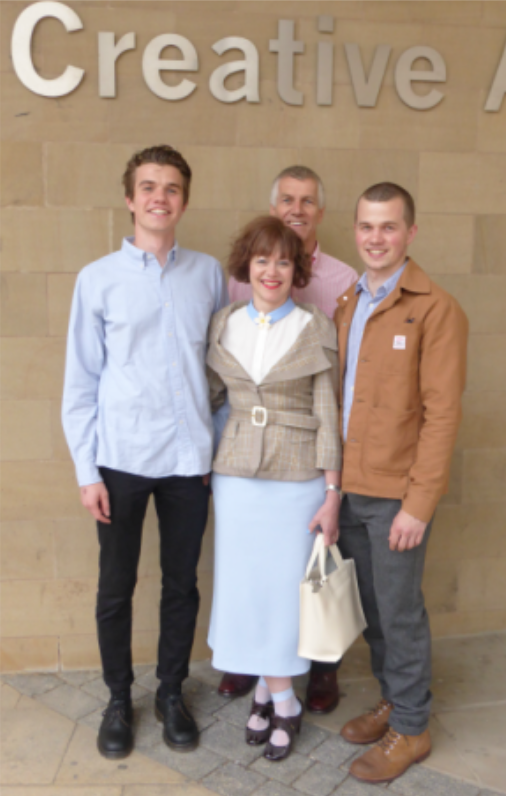 At 18 I went to college in Carlisle, England and studied Textile Design majoring in weaving. My first real job was working for Laura Ashley in one of their factories that produced clothing. I was trained there and become proficient and fast on the sewing machine. The best part of this job was the amazing sales on their fabrics. My stash had started! I'm often asked how I got into teaching and writing about color for quilters. Like almost every other quilter, I began sewing when I was very young. (One of my more "memorable" projects was a doll quilt filled with cotton balls, because when I asked my grandmother what was inside a quilt, she said, "cotton.") Degrees in Textile & Costume Design and Magazine Journalism segued into a career writing books on color, decorating, remodeling, and soft furnishings for Sunset Books, as well as four quilt-making books, and tech editing many more. I've been published in a number of quilt magazines (Modern Patchwork, American Quilter, McCall's Quilting and American Patchwork and Quilting, QNM, Love of Quilting, Threads, and Fabrications, a British quilting magazine) and have appeared on "Simply Quilts." I live in Grass Valley, the heart of Northern California's Gold Country, in a house with a light-filled sewing room where I am always happy. 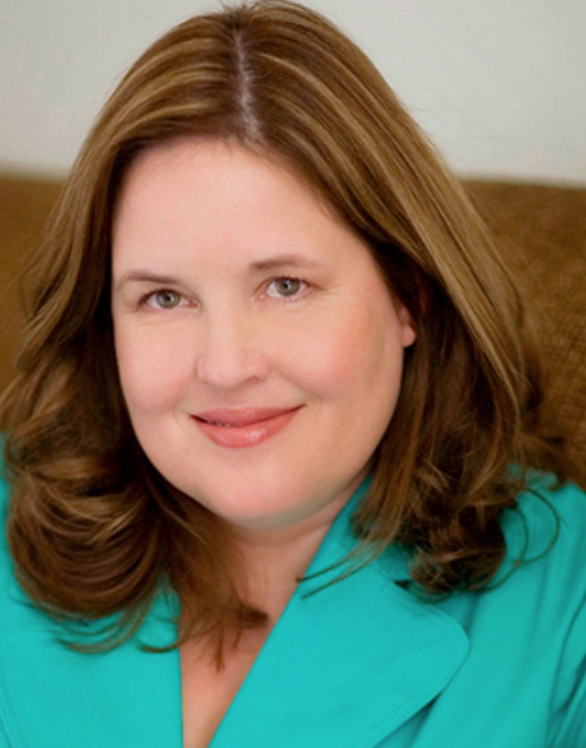 Laurel Anderson is the owner of Whisper Color and an award-winning gifted textile artist. 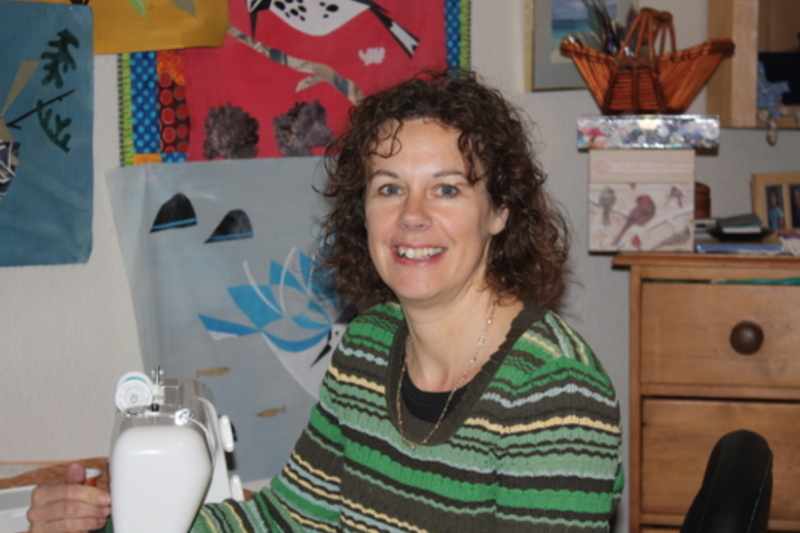 Born and raised on the West Coast, Laurel is well known in the San Francisco Bay area as an accomplished applique quilt designer. Her quilt designs are inspired by her love of nature as seen in her flower and natural lanscape designs which include trees and mountains. She uses a mix of color, pattern, and textures. The name Whisper Color describes the technique Laurel uses to dye silk scarves. Laurel loves dyeing fabrics including silk scarves, wool, and bamboo batting. 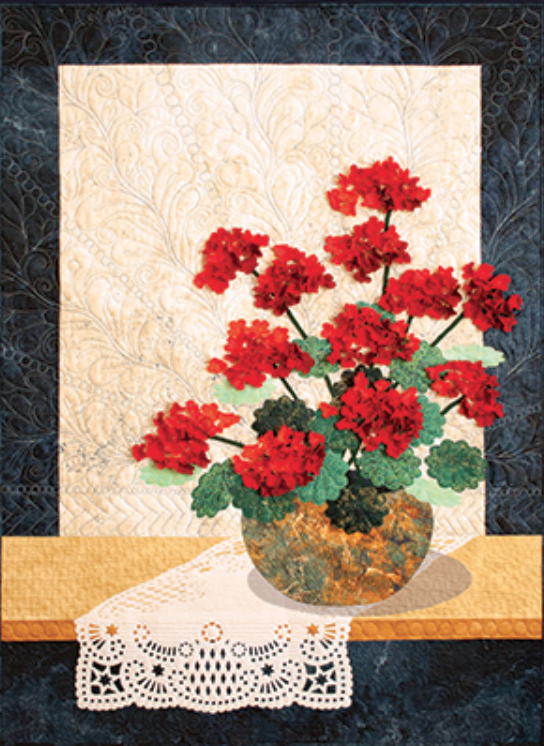 Her work has been seen at West Coast quilt and guild shows. When her sons started school she joined a local quilting group that made quilts for the Richmond Rescue Mission. They made the mistake of complimenting her on her use of color. With that encouragement she thought she could try making quilts for her family. It took three to get her hooked. ing starts promptly at 10:00 a.m.